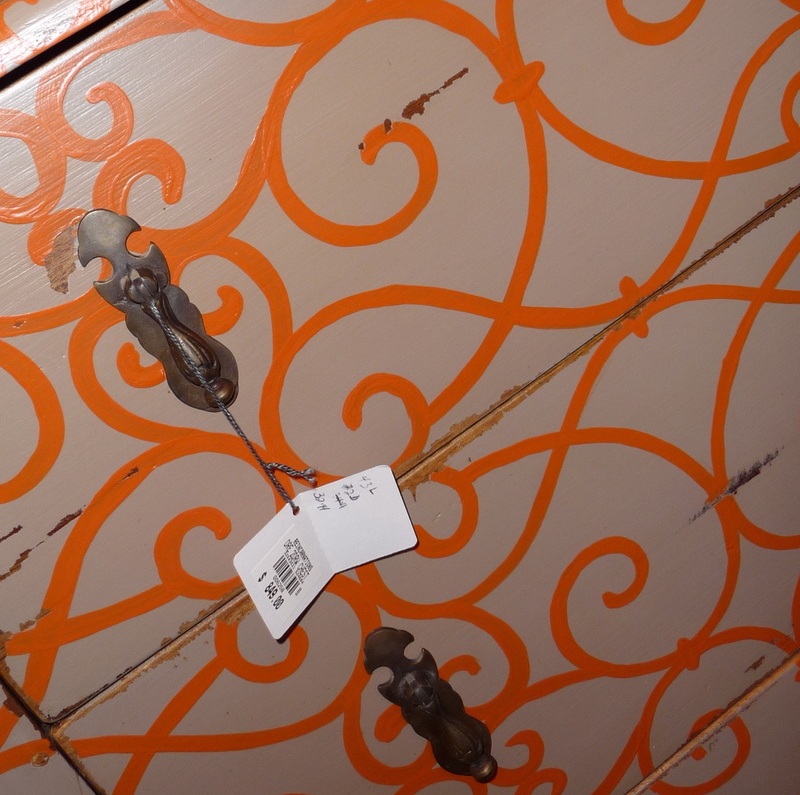 Find of the Week: Vintage Painted Table! 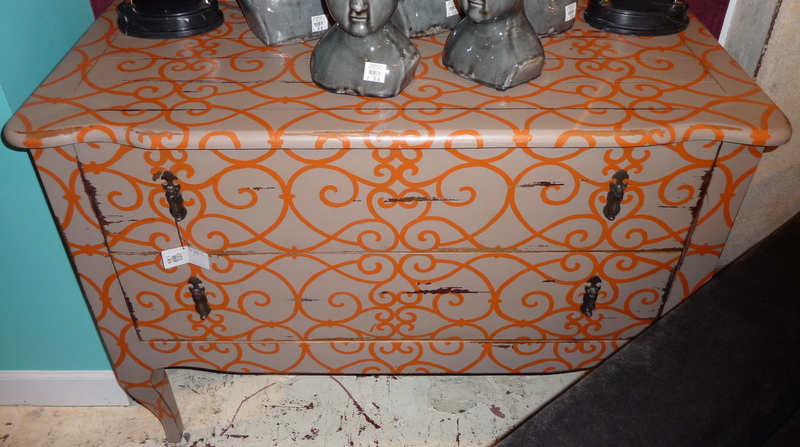 I was browsing at Reincarnations earlier in the week, and I came across this amazing painted table. If you’ve never been to the store before, I highly recommend it. Their pieces are really unique (once they’re gone they’re gone), priced pretty reasonably (especially the accessories – vases for less than $25! ), and there truly is something for everyone. Plus, the guys are incredibly nice and helpful. I had to show a detail to capture the neat distressing and intricate pattern. ← Word Posters Are (Probably) Here To Stay.